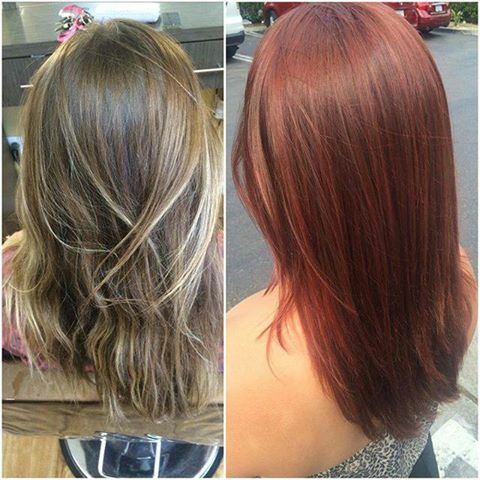 Before and after hair by Casie. Dimensional copper color! All Aveda Color!! !